Sim free phones are traded without any network or sim attached to them. We present you with best deals on sim free Samsung Galaxy S7 for most soothing price. 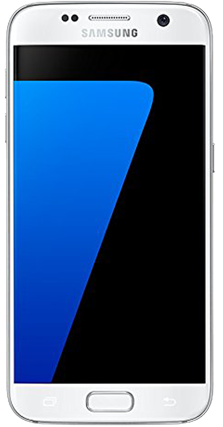 Counted as one of the most affordable feature rich handsets in the Samsung line up of handsets, Galaxy S7 comes with a better than average 5.1” display under metal design and premium glass. Like other advanced handsets, it comes with wireless charging and speedily charging mode. 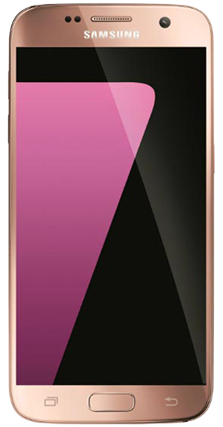 You can also enjoy fingerprint security and complete water resistance. For photography enthusiasts, it has a 12MP camera and a more efficient Android 6.0. In case, you fail to find what you are looking for, you may filter all deals to find the best handset for you. ComparePhones4U is one of the best refurbished and used phone comparison sites in UK. We bring you one of the best deals for refurbished used phones. Get the cheapest Samsung Galaxy S7 SIM Free Price at ComparePhones4U. It’s the smart option for those who wants to enjoy this Galaxy masterpiece without any network restrictions. We offer a quick and fair price comparison to find the most favourable Samsung Galaxy S7 deals. WHAT MAKES SAMSUNG GALAXY S7 SIM FREE A GREAT SMARTPHONE? HOW DOES SAMSUNG GALAXY S7 SIM FREE PRICE COMPARION WORK? Comparephones4U makes it possible that you can buy your desired Samsung Galaxy S7 at the cheapest price without any trouble. We use an advanced price comparison technique that compares the Samsung Galaxy SIM Free deals offered by top-rated dealers in the UK. Then, you are free for choosing any of available deals that suits you the most. After this, you are redirected to the dealer’s website to confirm the purchase. Once you do this, our price comparison tool starts working and presents you a list of top deals available. Then, you just have to pick up the best one! Once you select, you will be redirected to the dealer’s website to proceed the purchase process. At ComparePhones4U, we are privileged for offering the most favourable deals on refurbished smartphones including Samsung Galaxy S7. Our contract and SIM free deals are gaining popularity among people who are looking for the quality refurbished phones at affordable prices. Through contract deals, you can get hold of your favourite phone without putting burden on your pocket. Because you are able to pay monthly instalments instead of paying the whole price in total. So, don’t miss the chance and check out contract deals to save more money on buying a Samsung Galaxy S7 SIM free.